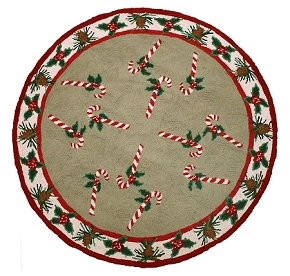 Deck the halls and roll out a festive holiday rug to celebrate the season in style! 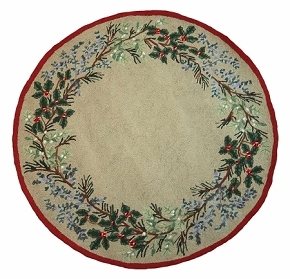 At Michaelian Home, we have a delightful collection of hand hooked holiday rugs, including a hand hooked wool tree skirt to make your home cozy and bright. 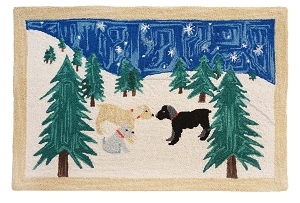 Our area rugs are 100% wool with a cotton cloth backing and hand hooked for an amazing look and feel. 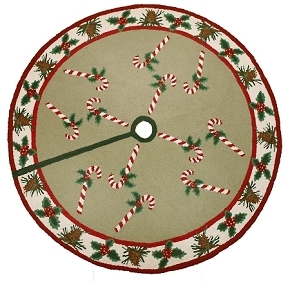 Select from holiday themed area rugs, Christmas rug runners, and round rugs that are perfectly placed as kitchen rugs or Christmas bathroom rugs. 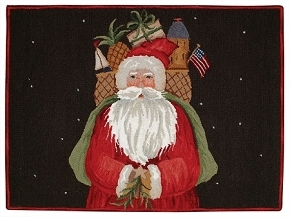 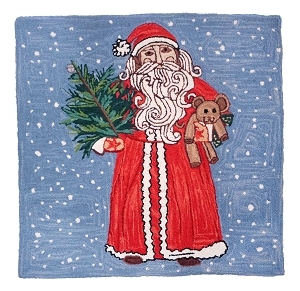 Choose from our classic and vintage holiday rugs with charming pictures of jolly old St. Nick and Kris Kringle. 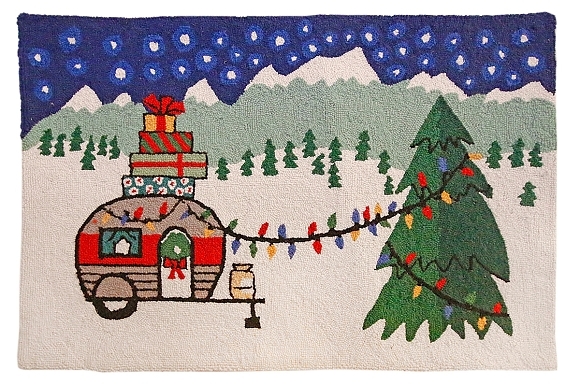 Or enjoy a festive alpine scene with wintry landscapes, charming sledders, and skiers. 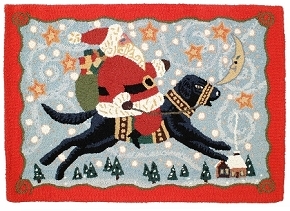 The Flying Black Lab Christmas rug shows a jolly Santa flying in a star-studded sky atop a darling black lab! 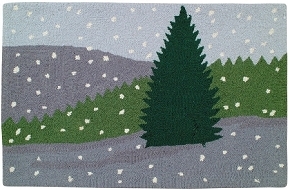 The charming Winter Scene 2 x 3 hooked rug features a quiet snowfall surrounding a gorgeous pine—a perfect look for a contemporary entryway, kitchen, or bathroom. 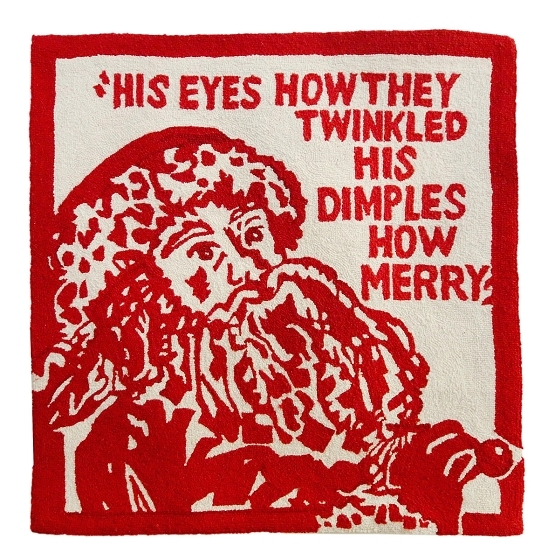 Holidays are all about the gift of giving, and it’s always the thought the counts. 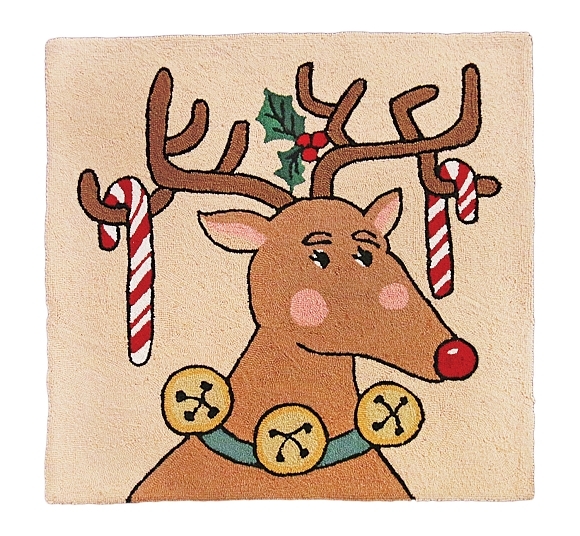 Make thoughtful choices with your holiday décor by selecting holiday pillows to match your holiday rugs. 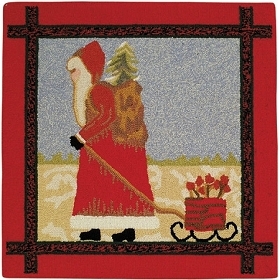 Our traditional needlepoint pillows have 100 stitches per square inch, and the petit point collection shows even greater detail with 225 stitches per square inch. 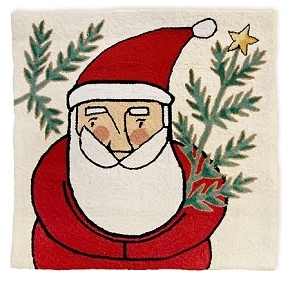 Browse our holiday selection of Christmas pillows, Halloween pillows, Day of the Dead pillows—even beautiful hand hooked stockings! 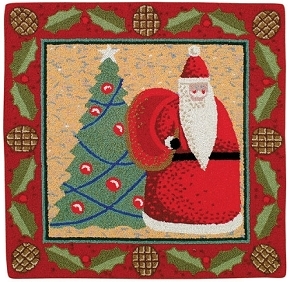 Looking for other types of needlepoint pillows? 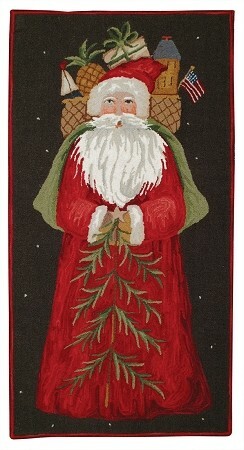 Shop by style or room to find the look you want at an affordable price.